Over 60 years of clock expertise! Authorized sales, service, and repair center for Howard Miller, Sligh, Seth Thomas, Bulova, Hermle and more. Selling a clock on the internet is the easy part. Giving excellent service and support after the sale is what separates us from the others. Unlike Keil’s Clock Shop, most internet companies don’t stock the clocks they sell and have never seen, serviced, or repaired them. Keil’s has hundreds of clocks in stock and can take care of all your clock needs during and after the sale. Keil’s Clock Shop has exclusively been in the clock repair, sales, and service business for over thirty years. 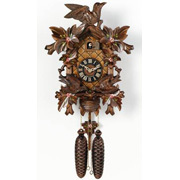 We specialize in most makes of clocks from antique mechanical to new battery operated. With over 60 years of clock experience, we have serviced and repaired thousands of clocks over the years and have an expertly trained staff to take care of all your clock needs, both present and future. We offer free shipping and will meet any advertised price on a new clock from any authorized dealer on the internet. 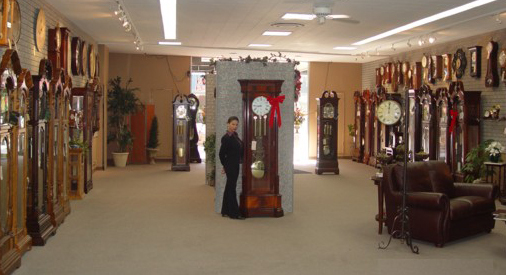 Come visit our clock shop at 109 E. Main St Belleville, IL 62220. We have over sixty different models of Grandfather clocks and hundreds of walls and mantels (including many antique clocks). Buy any new clock from Keil’s and get 10% off any furture parts and labor for as long as you own the clock. Just send us the clock, we will repair or replace it and you’ll save. Before, during, and after the sale, Keil’s staff has the answers for you. Whether You buy battery opperated or Mechanical, Keil’s clocks shop will be here to assist You every step of the way.